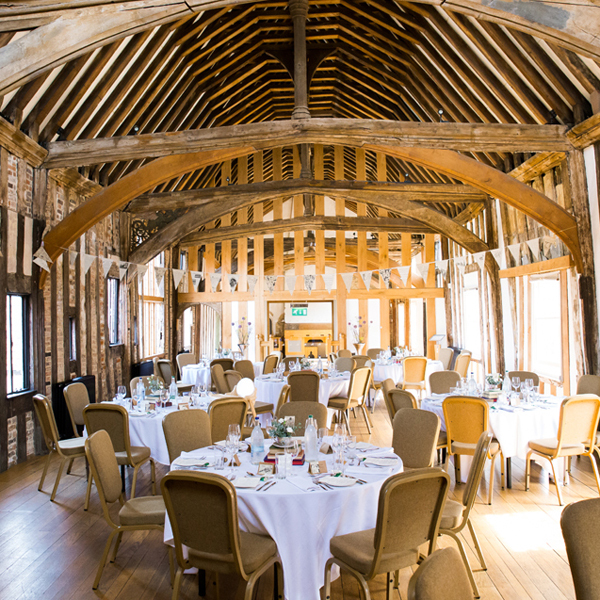 Discover what makes the historic Dragon Hall in Norwich the ideal choice for your picture perfect wedding day! Join us any time between 11am – 4pm for a tour of the 15th-century oak-beamed Great Hall, contemporary glass Foyle Gallery and beautiful bordered garden. Get a glimpse of how your day could look and feel, with the Hall fully dressed for a wedding and recommended suppliers – including wine merchants, florists and caterers – on hand to give you plenty of inspiration. Our team will be available to answer any questions you may have, and there are even canapes and drinks to sample! Dragon Hall is fully licensed for weddings and civil partnerships. For further information on the venue and its history, click here.